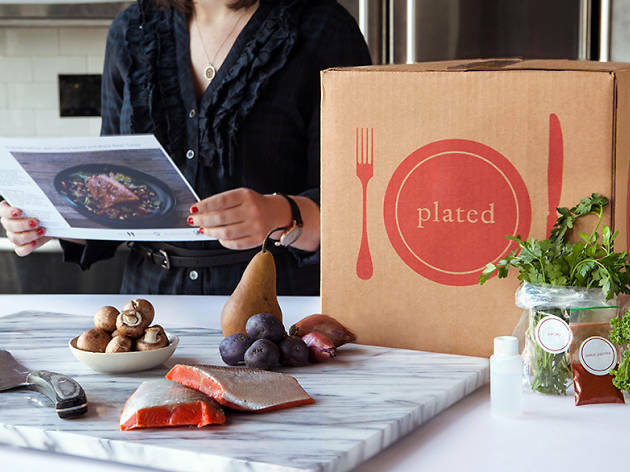 Convenience is king in New York City: That’s why we love these subscription boxes that save busy New Yorkers the time and hassle of shopping. Much as we love hunting for the perfect find at the best vintage clothing stores and flea markets in NYC, the sad truth of the matter is that we don’t always have time. 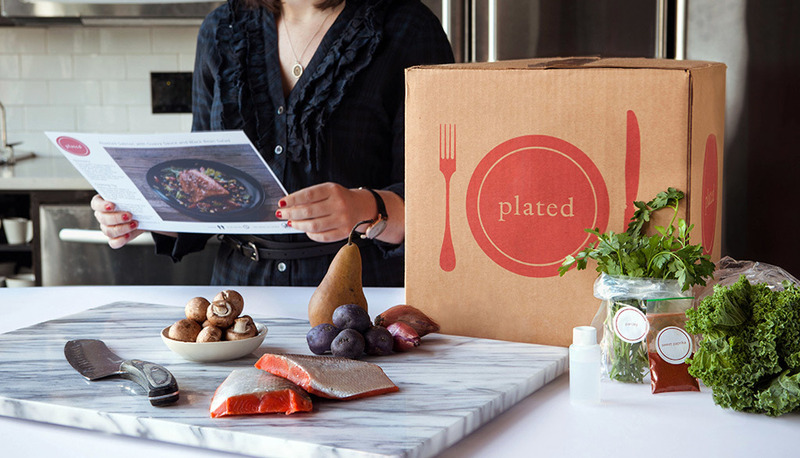 Enter these subscription boxes that deliver everyday essentials right to your door. 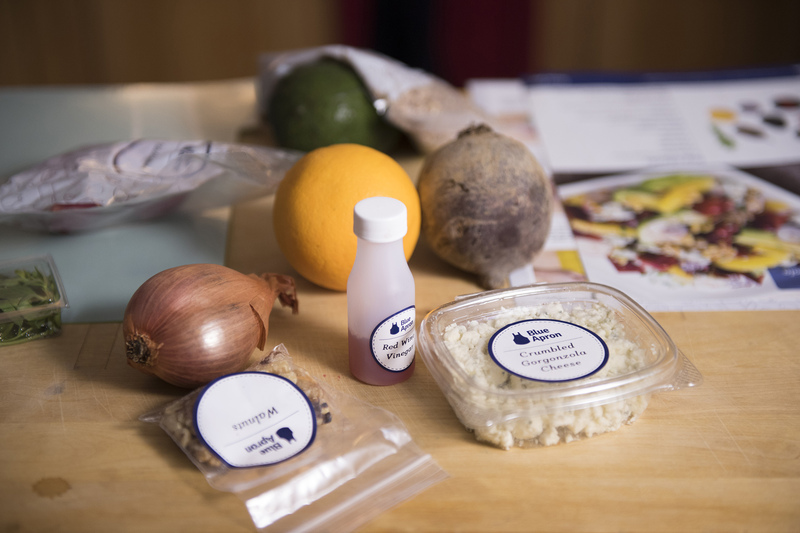 From grocery delivery in NYC to sock of the month clubs to healthy snack boxes, there’s something for everyone. Just think: You won’t need to make the trek to that hole-in-the-wall beauty supply store to restock your makeup arsenal anymore—just get everything you need delivered! 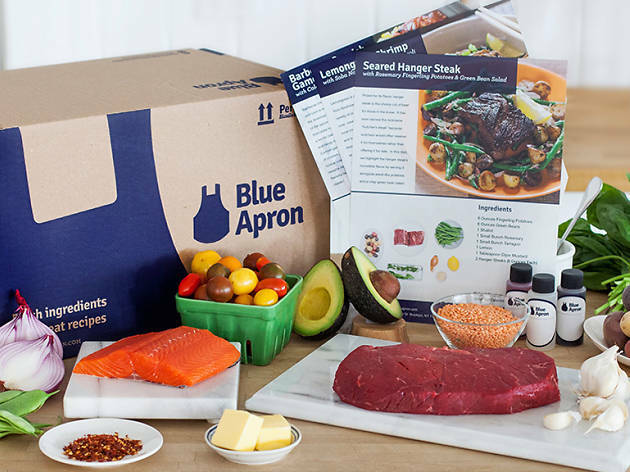 For the time-crunched New Yorker, these subscription boxes are a godsend. Shopping for makeup isn’t always a fun experience—especially if you’re not a beauty buff. Dip your toe into the beauty world with Birchbox, a curated selection of five samples sent to your door for just $10 a month. Once you sign up, you’ll fill out a list of preferences online so the stylists know what to send you: products for dry or oily skin, curly or fine hair, and so on. Birchbox also sells a wide selection of products on its site, so you don’t have to hunt around for the full-sized version of a mascara sample you loved. 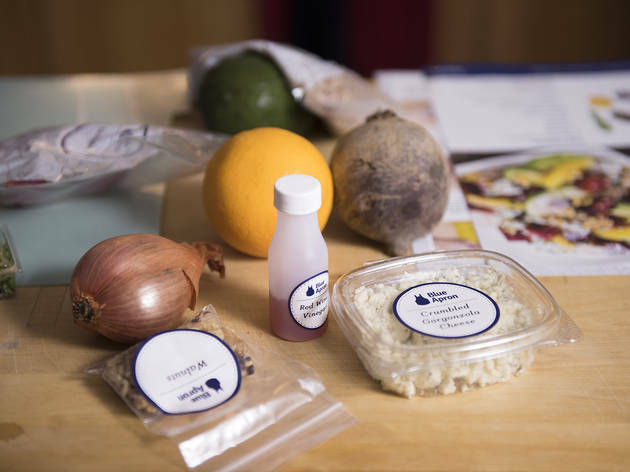 Arguably the best-known meal kit delivery service, Blue Apron ships packages of pre-portioned ingredients and easy-to-follow recipes to your front door. There’s no need to go to the grocery store, browse cookbooks or even choose between recipes—the service will do it all for you. 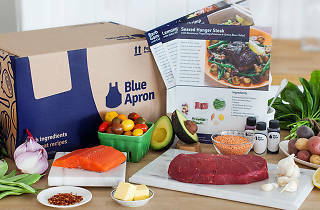 The two-person plan includes three recipes with two servings each ($59.94), while the family plan feeds four people from either two ($71.92) or four recipes ($143.84). With a delivery service this convenient, New Yorkers have no excuse for ordering takeout. 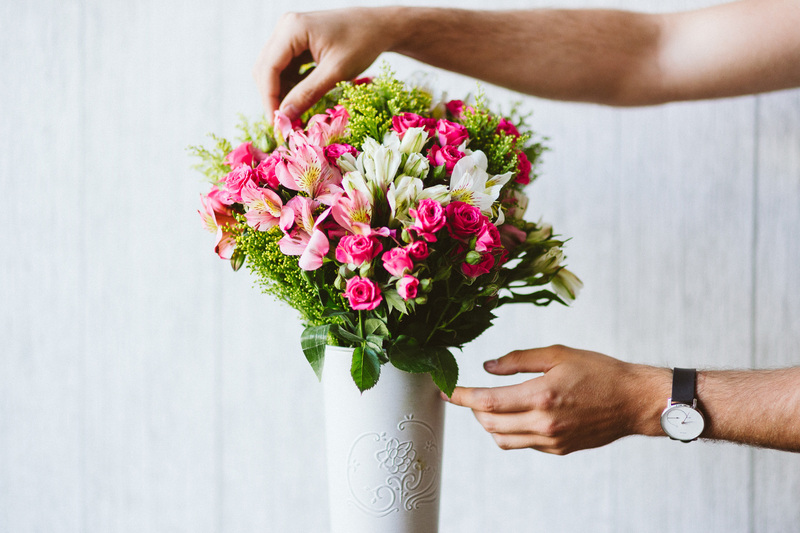 This eco-friendly flower delivery service sources its blooms directly from farmers, effectively cutting out the middlemen and ensuring that you get fresher arrangements. 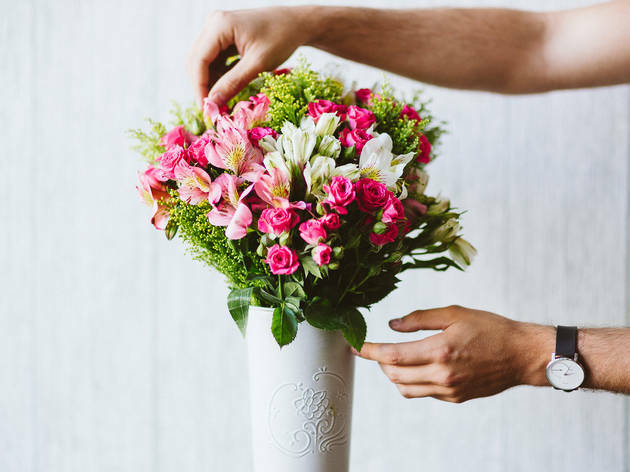 That’s not the only way The Bouqs Co. bucks tradition, though: It also offers a subscription model for those who want fresh flowers on the table every week, two weeks, month, two months or four months. Opt for the original size with 6 to 12 stems ($40), the double with 12 to 24 stems ($55) or the grand with 18 to 36 stems ($70). You can even schedule yearly deliveries for Mother’s Day, your grandma’s birthday or your wedding anniversary so you’ll never miss a special occasion. Just set it up and forget about it! Shopping for specialty snacks, protein powders and supplements in New York City grocery stores can be a fruitless proposition. Either they’re impossible to find or hopelessly overpriced. Fitness fiends might instead want to opt to get a curated selection of five to seven protein powders, energy bars, jerky and other healthy snacks delivered with Clean.Fit ($34.95). You can choose from the original, gluten-free and vegetarian boxes to make sure your snacks align with your diet, too. Break the habit of stopping at Starbucks every morning with Coffee Crate, a subscription box perfect for caffeine addicts. Each delivery includes three four-ounce bags of whole bean coffee, along with notes from the roasters and artisan-crafted sweets ($29). Since 12 ounces of beans can make more than 50 cups of coffee, that’s a lot cheaper than buying drip coffee every morning. Plus, it’s a great way to support smaller, artisan roasters and try new styles of coffee. This monthly razor subscription service for men made a name for itself when a zany commercial featuring founder Mike Dubin romping around the company’s Gardena, California, warehouse went viral. But the business’s ability to make shopping for razor blades easy and affordable is what’s kept them relevant. For your first order, try out a $5 starter set that includes a six-blade razor and an assortment of shaving cream, body wash and other personal care products. Every month after that, Dollar Shave Club will send you a set of replacement blades for $9. You can also bundle any shaving creams or skin care products from the company’s Dr. Carver’s line for an additional fee. It’s all too easy to succumb to temptation of vending machine potato chips or candy when you don’t have any healthy snacks at your desk. Enter Graze, a bi-weekly subscription box filled with snacks like trail mix, popcorn and energy bars. Here’s how it works: Sign up online and rate what looks best for you from more than 100 snacks to give Graze an idea of what you like. Then, the service will hand-pick a box of eight snacks just for you ($13.99). Graze makes all its food in house and you can expect treats like peanut butter–cocoa protein balls, fiery teriyaki crunch mix, banana caramel dippers and roasted chili-honey peanuts and almonds. If you can’t help yourself when it comes to sparkly things, Rocksbox just might be the subscription service for you. For just $21 a month, the service will send you a stylist-curated set of three pieces of designer jewelry. Wear your new bling on loan for as long as you want, then send it in to get a new box. If you find something you’d like to keep, Rocksbox will apply the $21 fee you paid that month to the total price. And we’re not talking about junky costume jewelry either: Rocksbox features well-known designers such as Kate Spade, Kendra Scott and Gorjana. Always rummaging around your bag for a working pen? Sign up for regular Scribe Delivery boxes and never be without writing utensils again. Each monthly box contains at least one notebook and pen, plus pencils, stationery and other desk supplies ($29). If you’re a habitual notetaker or doodler, clean writing pads are a must. Plus, you’ll look pretty slick when you walk into a meeting with a fresh notebook and matching pen in hand. In the world of shopping, buying socks ranks low on the exciting meter, but receiving a whimsical pair in the mail every 30 days will certainly make the experience more fun. 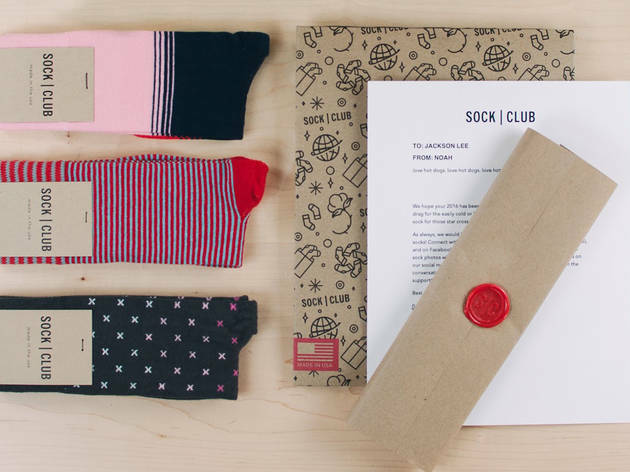 Inspired by their own vast sock collections, Texans Noah Lee and Dane Jensen launched their site in June 2012 with pairs from quirky brands like Happy Socks and Dapper Classics. 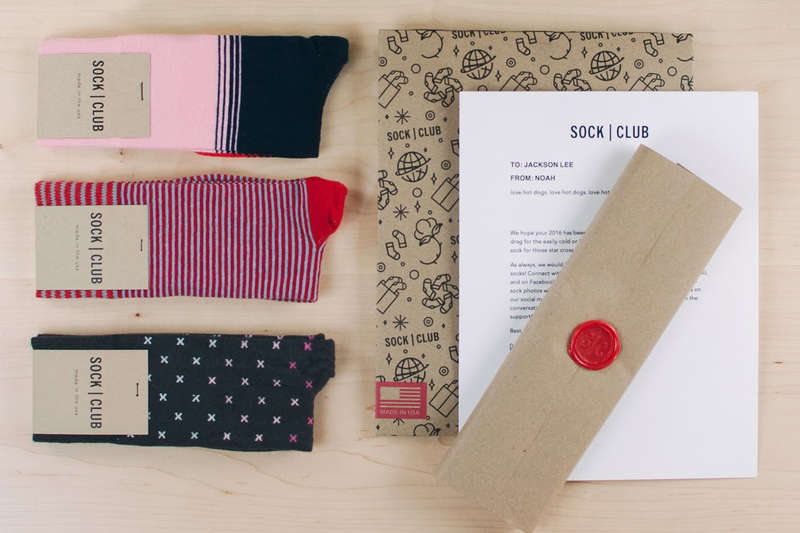 In the intervening years, Sock of the Month Club has switched to manufacturing its own socks with cotton grown in the Southeast and added women’s and kids’ categories. For $12 a month, you’ll get a brand-new pair of striped, patterned, checked or otherwise decked out socks. You can also subscribe for three months ($36), six months ($72) or a year ($132) and even send socks as gifts. As the name implies, Stitch Fix literally fixes the shopping problem for women and men who either don’t like to shop or don’t have time. Fill out an online profile so the stylist can get a sense of your style, needs, budget and body type. When your fix arrives, you’ll have three days to try everything on all five items of clothing, shoes and accessories and send back what doesn’t work. Stitch Fix carries brands like Joie, Citizens of Humanity and Eloquii—yes, that covers both straight and plus sizes. You can either schedule out regular deliveries or opt to have them delivered on demand. Although Stitch Fix charges a $20 styling fee for putting together your box, you can apply it to the cost of any item you purchase. In other words, as long as you keep something, you won’t pay any extra fees. And if the stylist really hits it out of the park and you buy all five items, you’ll get to take 25 percent off. Founded in 2008 and later acquired by Nordstrom, this site serves as a virtual personal-shopping service that sartorially challenged or time-strapped guys and gals can use whenever their closet is looking bare. After you sign up online, schedule a phone consultation or online chat with a Trunk Club specialist, who will get a feel for your personal style. He or she will then pick out six to ten items, ranging from basic tees, blazers and jeans to shoes and accessories priced between $40 and $300. Brands include Bonobos, Eton and Ted Baker for men and Paige, Theory and Vince for women. Once your trunk arrives, you have five days to decide which items (if any) you want to keep and return the rest using the prepaid UPS label. Only then will you be charged for the pieces that you decide to own. Like other services, Trunk Club also charges a $25 stylist fee, but it’s credited toward anything you decide to keep. Either choose to order trunks whenever you want something new or sign up for a monthly or quarterly subscription. Ready to get dinner delivered? New Yorkers are used to getting what we want when we want it, so it’s no surprise that this city is a mecca for food delivery.